The Gabber Newspaper | Pebble Infotech Pvt. Ltd. The Gabber is Pinellas County’s longest-running weekly newspaper, serving the southern Pinellas communities every Thursday since 1968. Available at over 350 drop-off locations, and online, the Gabber has over 20,000 readers every week. We are your source for local news, community events, in-depth feature stories and the most extensive classifieds of any weekly newspaper in the area. 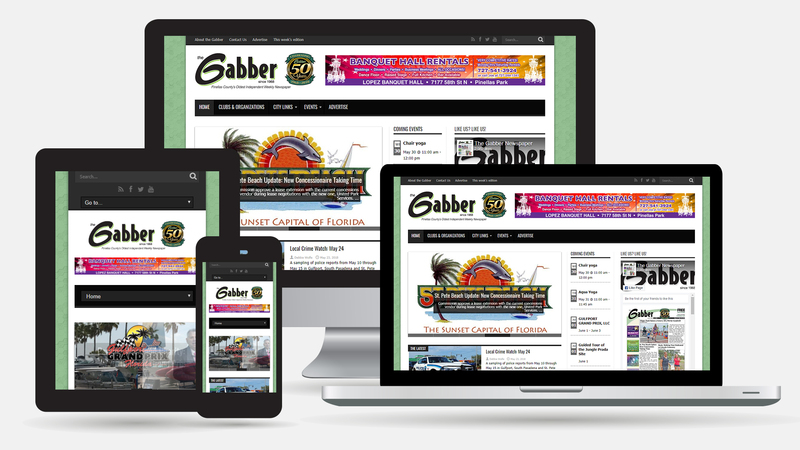 The Gabber is an independent, family-owned, free community resource, offering custom advertising for any budget.